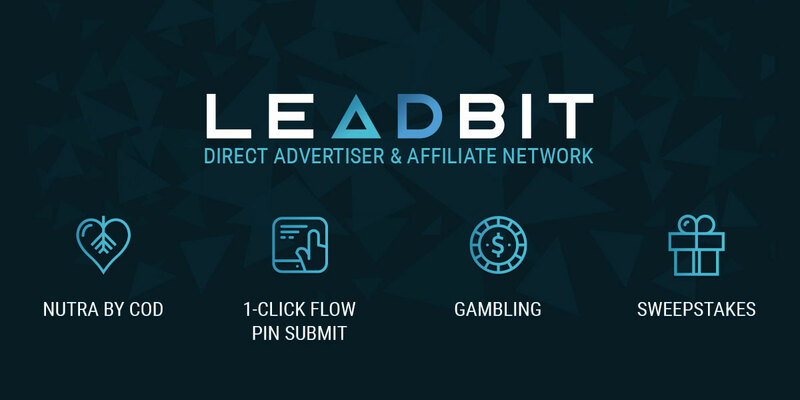 Leadbit is a global CPA network which works on great verticals like nutra COD, adult, gambling, 1 click-flow/pin submit, CPI & sweeptakes. They have higher payouts, faster payments to keep the cash flow running, their in-built tracking platform & more to help you make more profit from your campaigns. It’s a very reliable CPA network and I would highly recommend joining them if you haven’t joined them yet. In order to make money in affiliate marketing, the first thing you need is a good reliable, legitimate CPA network. There are plenty of networks but honestly, legitimate reliable CPA networks are few. As you guys know, I am very selective about vouching for networks or services and I don’t vouch without personally using them. 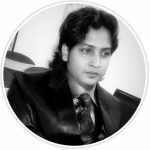 So in this post, we will look into a global CPA network which can help you make good money in your affiliate & CPA ventures. Before heading over to Leadbit review, first get some information about the CPA network. Leadbit is a UK based company with its office in London founded in the year 2013. Their biggest team is based in Moscow, Russia. Leadbit is a growing company whose main mission is to generate more & more for their advertisers and publishers. In just 5 years they have made themselves a strong brand. 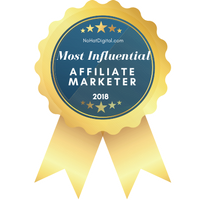 They also have highly professional and experienced affiliate managers in the industry to help advertisers and publishers maximize their profit. 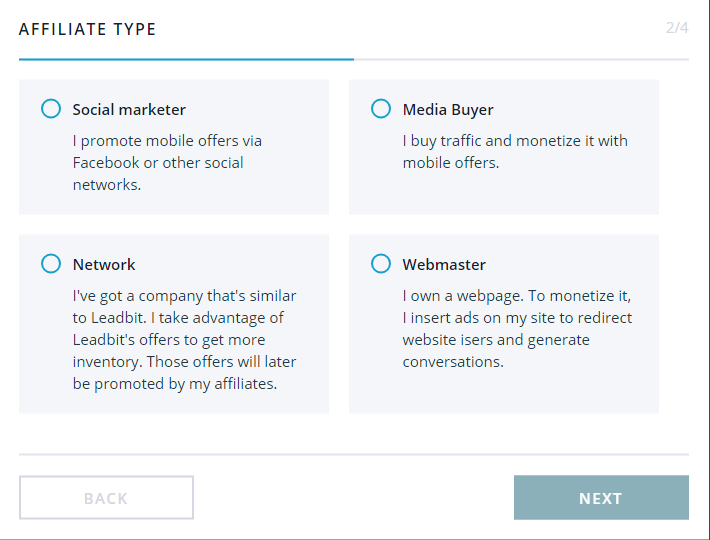 Unlike the rest of the networks Leadbit isn’t specialized in brokering used offers available across all other networks, rather they have their own high converting in-house campaigns and exclusive offers. They are direct advertiser in Europe, Asia, Latam and a global CPA network which makes it really lucrative for affiliate marketers. Exclusive bonuses for Leadbit affiliates from their trusted partners. There are plenty of networks out there but if you ask how many of them have direct offers then the answer will be just a handful few. Leadbit is one of them. With highly experienced team Leadbit manages everything all by themselves to provide the best to their affiliates. Leadbit works on some great verticals like nutra COD, adult, gambling, 1 click-flow/pin submit & sweeptakes. Other highlighting features include faster support (AM & tickets), in-house proprietary tracking platform, their own local call centers across the globe in more than 50 countries for nutra COD offers & everything an affiliate requires to run their successful campaigns. When it comes to payment, they are a dream network for every affiliate marketers because their minimum payout threshold is just $25 and payment frequency is on demand. 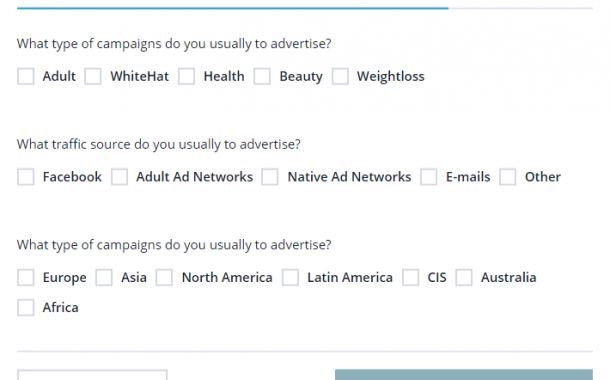 Every affiliate marketer wants this kind of CPA network which can help them keep their cash flow running to continue their ad campaigns. 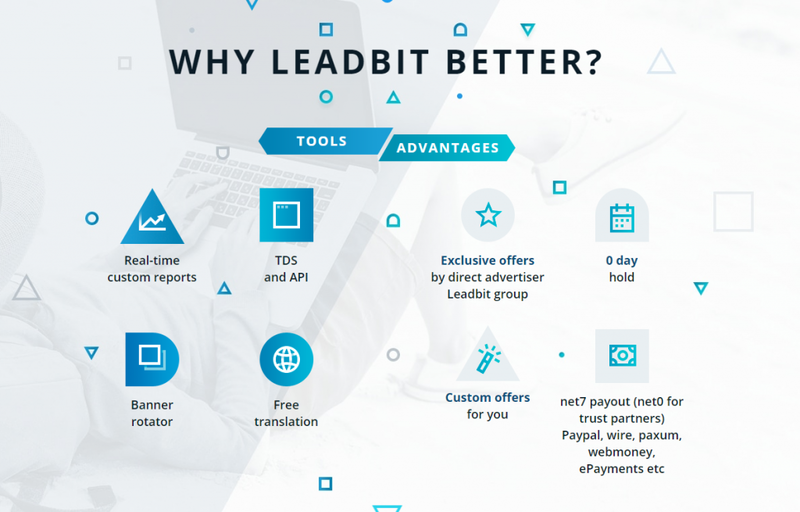 These are some of the reasons why you should join Leadbit.. Joining Leadbit is very easy. Just follow the steps and fill out the details as shown below. 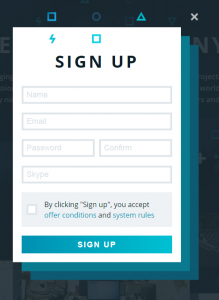 Once you have filled and submitted registration field, you will receive an email. You need to activate your account by contacting the AM on skype or telegram as mentioned in your email. Just be honest with your application and let them know how you plan on promoting their offers. When the AM completes verifying your account, they will activate it and you can hop on to check the offers and start promoting them. This is how your affiliate dashboard will look like when your account will be approved. 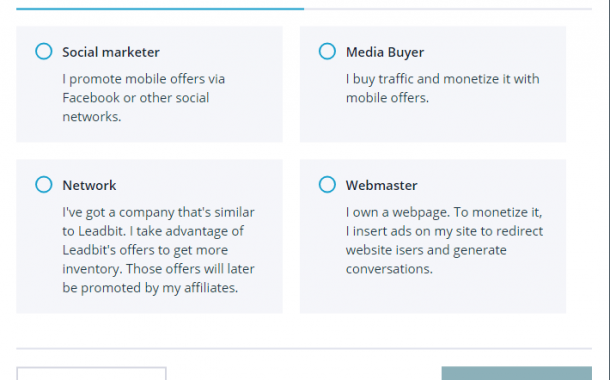 It’s a very simple and easy to navigate panel for affiliates. All the options are self-explanatory. But I would like to highlight some of the options which you might find helpful. As told earlier, Leadbit has their own in-built tracking system. 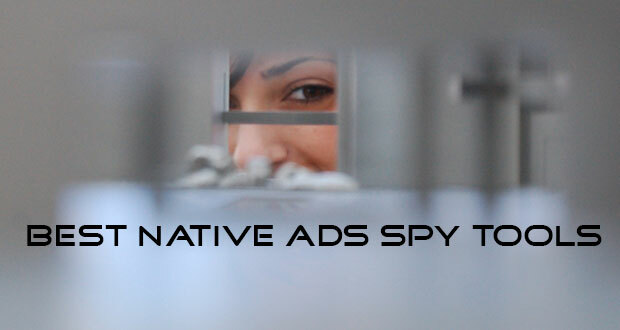 So you don’t have to shell out extra money for a third party tracker. However, using Leadbit’s tracking system is completely optional. But if you are planning to use Leadbit’s in-built tracking system then below are few notes for you. 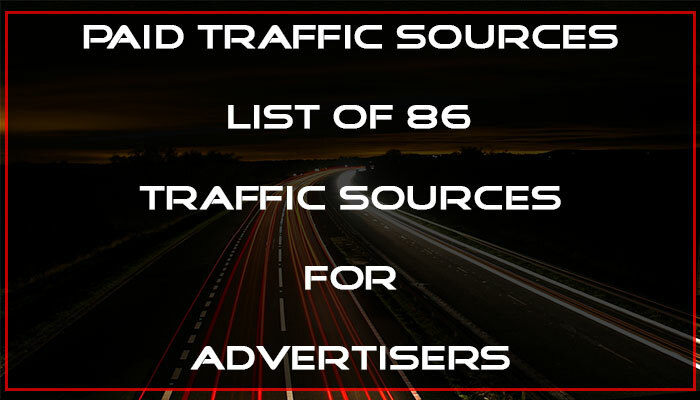 Sources: You can add all the traffic sources which you are going to use through here. 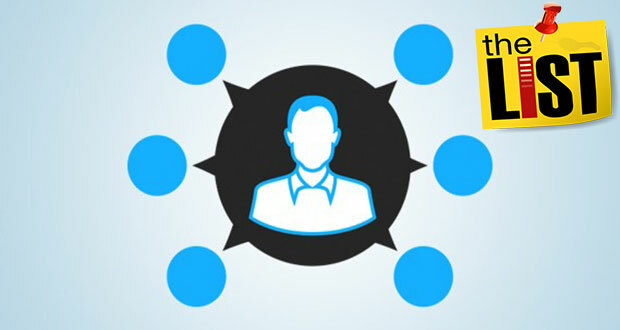 You should create traffic source first before creating tracking link for your campaigns. Please refer to the image below. 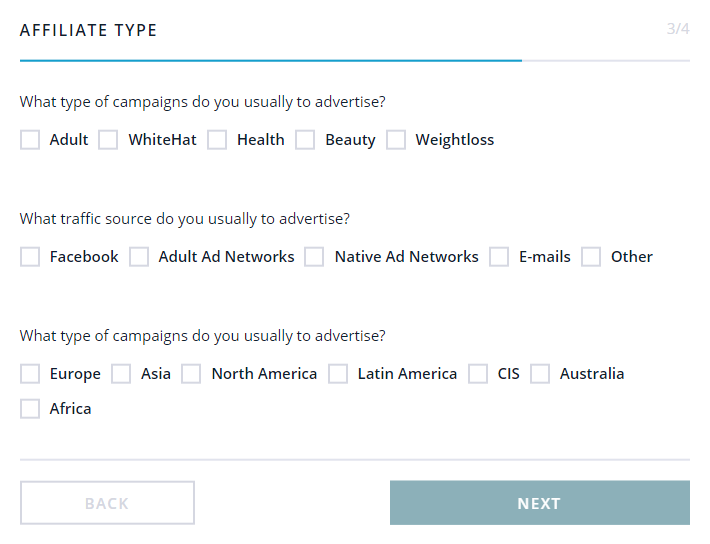 Tracking Link: Once you have created traffic source, you can then proceed to create tracking link for your campaigns just like you do with other third-party trackers. 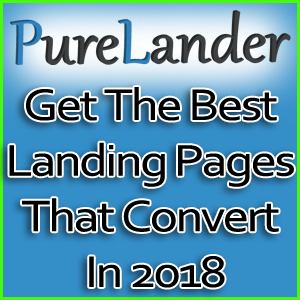 Fill in all the mandatory details, select appropriate landing page and pre-landers (which will rotate automatically) & use proper postback url/pixel to complete creating your tracking link. Please refer to the image below. Tools: There are 5 options inside tools and they are TDS, domain parking, translate text, API & finance showcase. TDS stands for traffic delivery system which will help you set rules for distributing your traffic based on the flow you specify in your settings. You can make more money using the domain parking option. With the help of translate text option, you can order someone professional from Leadbit team to translate your campaign’s promotional materials text to another foreign language where you are promoting. 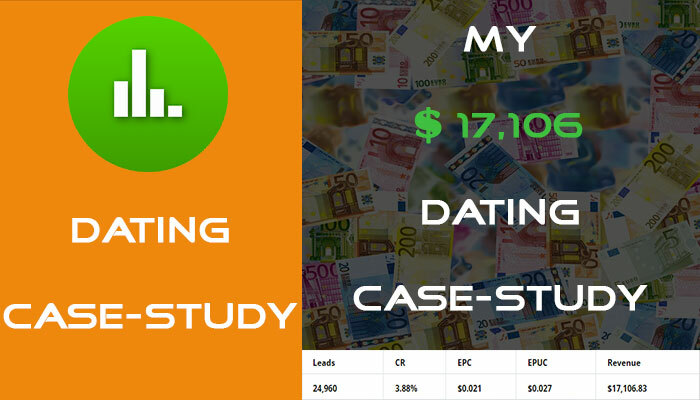 API is used to send conversion details & Finance showcase helps to showcase financial offers. Please refer to the image below. In case of any doubt, please refer to the FAQ in your profile or create a support ticket. Leadbit works on some highly profitable verticals and has exclusive offers with great payouts. Below is the list of verticals and how it works. Nutra COD – This is Leadbit’s primary vertical which has nutra offers & works by cash-on-delivery method. 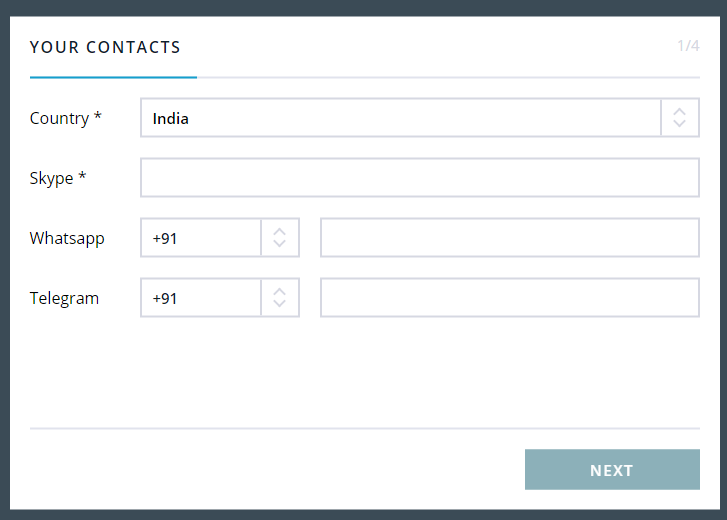 The affiliates get paid for every approved order whenever a customer fills out a simple form (name & phone number) and Leadbit’s local call center approves the order. Gambling vertical – Affiliates get profit once a customer tops up his balance. 1–Click Flow & PIN Submit – These are mobile offers and affiliates get paid when users subscribe to the content in one click using his phone or by submitting pin code which they have received on their phone through SMS. 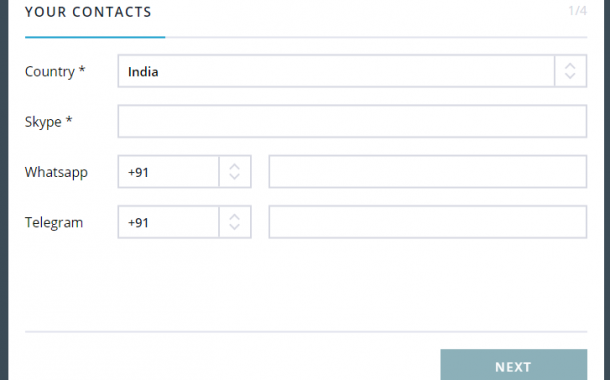 Sweeptakes – Affiliates profit whenever a user submits a contact form. There are no secret tactics for making money with Leadbit. If you can make money with other CPA networks in the verticals mentioned above then you can surely make more money with Leadbit. Leadbit provides its affiliates with all kind of tool and support for them to make money. Moreover, when the offers are exclusive and direct offers then the conversion rate becomes much higher as the offers aren’t saturated. Leadbit also gives their affiliates the opportunity to tap into unsaturated international market rather than just focusing on the top tier 1 goes. Affiliates get access to high performing offers in geos from Europe, Asia and the rest of the world where the competition is less and is unsaturated which means affiliates can cash in more money from these geos. If you want to make more money and are on a lookout for a trustable CPA network then you should definitely try out Leadbit. Every affiliate marketers want a good reliable legitimate network with great payouts and faster payment. And Leadbit is among those few networks. Leadbit has more to offer in terms of bonuses, private offers and everything an affiliate can ask for. They really take special care of their affiliates and help them earn more money. They have excellent support and very highly professional affiliate managers. Overall I would highly recommend Leadbit to anyone who is looking for a reliable network. If you haven’t joined yet, then simply join by clicking the link below.